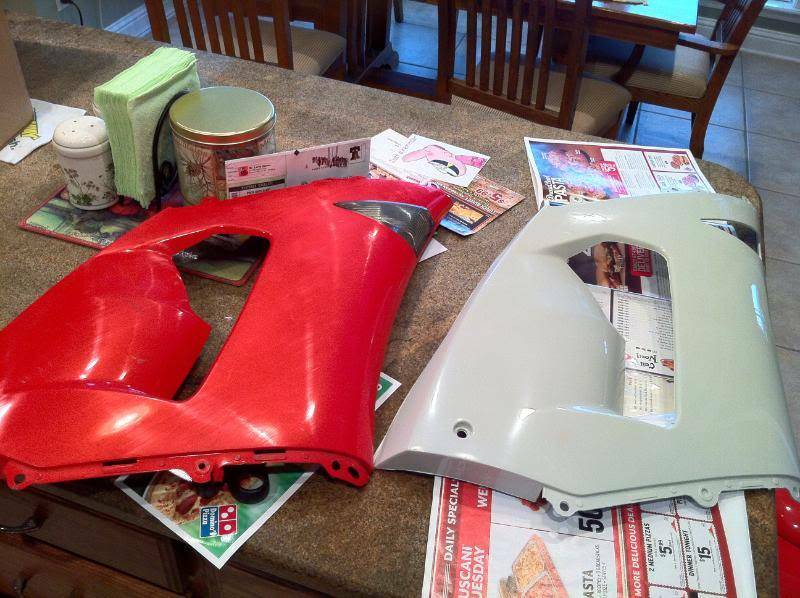 I'm currently replacing all of the fairings on my motorcycle and then having them painted. So far, I've been impressed with the consistency of the fairings. They're injection molded just like OEM and they fit perfectly as well as interchange with OEM. They do have some rough edges since they are taken directly from the mold, but they are very up front about that during the ordering process. It's nothing a good painter cant fix during prep though. They come in unpainted white, and as soon as my sides arrive, I'll post pics to show gaps or anything of that nature. I've ordered a tail and upper cowl from them. The tail is far less flexible than OEM making it tough to put on, but after the first time you get the hang of it. 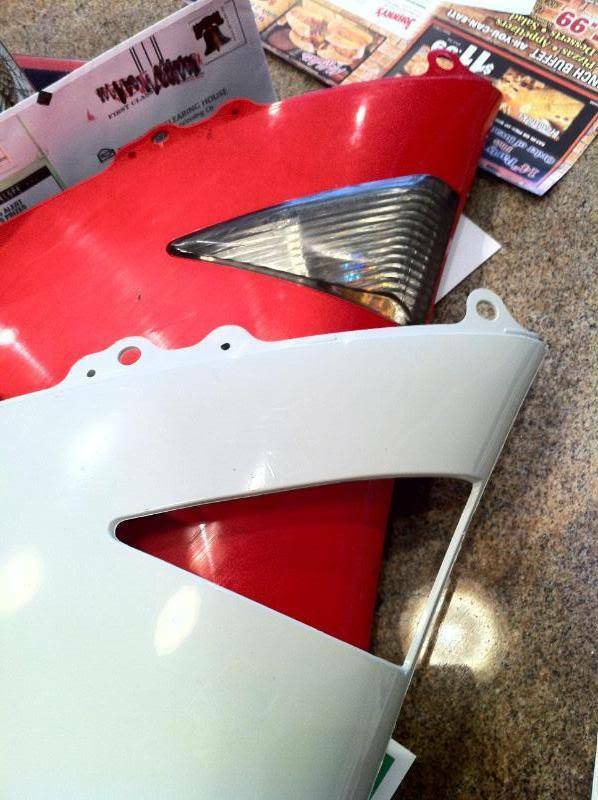 All tail light attachment points were present and the side mounting tabs are actually thicker than OEM, making it more stable. As for the upper cowl, it's identical in every way to OEM except that the edge of the windscreen attachment point needs a little sanding to remove to rough edges. The holes for the mirrors lined up perfectly as did all other mounting points. I have no complaints thus far, hopefully my sides will be just as good. I'll update this thread with more pics and more info when they arrive. Where did you purchase your fairings from and do they sell individual pieces? My right side upper has a broken tab. 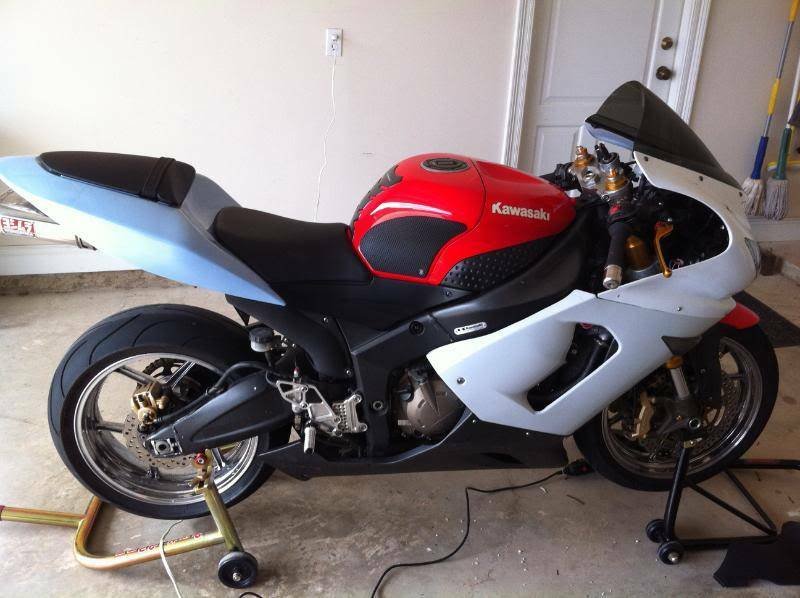 I bought direct from delkevic.us The big selling point is that they bolt up to your OEM fairings without a problem. I've found that to be true for my bike. I bolted my old sides up just fine to my new upper. Checked out the site. Their stuff looks top notch, and prices aren't too bad either. Definitely gonna be ordering some fairings from them if I can't fix this tab. 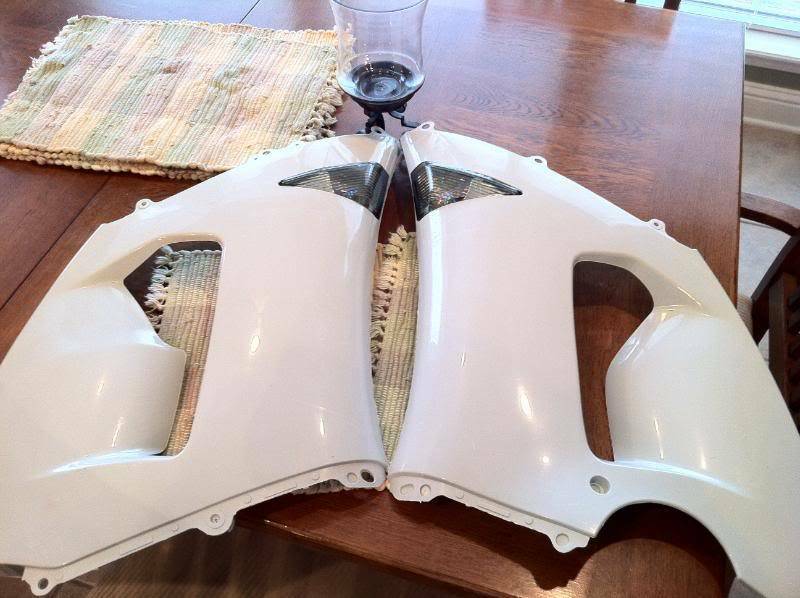 Pics of the side fairings I received today. I'm impressed so far, but I can't mount them until my hardware comes in. The bike is finally in one piece again. In general, the quality of these fairings are good, but I dislike how I had to drill out all of my mounting points on the lowers. They're rectangular, not circular, so it's really hard to do without messing up the surrounding plastics. Furthermore, there are a few gaps that are wider than I'd like, but I somewhat expected that. While I haven't heard anything about melting fairings from this brand, I'll be covering everything with heat shielding in the spring. 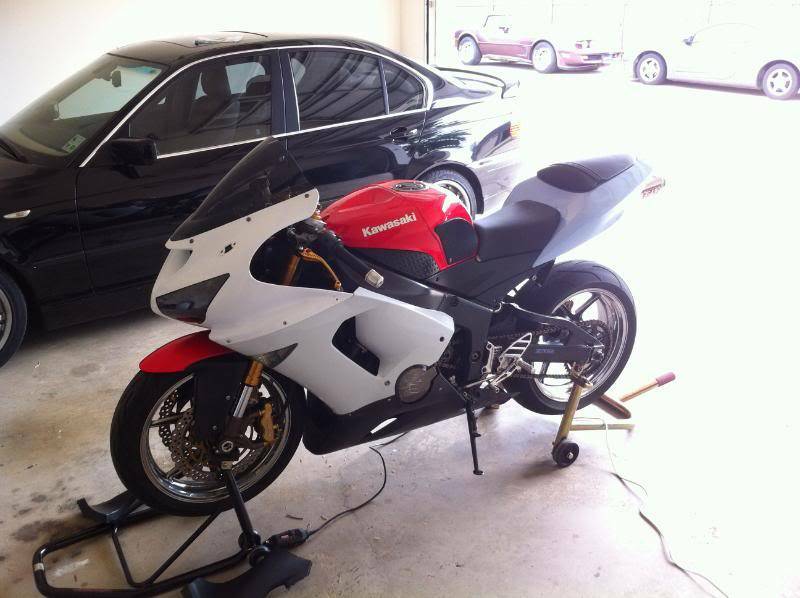 Then again, if I get my new bike in the spring, then this will be converted to a track whore, and if that's the case, I'll be fitting her with Sharkskinz. In that pic, notice the gap where the upper and lower come together at the back of the fairings. OEM was flush all the way. Also, while you can't see it because they're off in that pic, my dash plastics have gigantic gaps. That's not a big deal though since only the rider can see that when the bike is moving. Next I'll be working on that stator cover. It was messed up when I bought it, nothing a little sanding and painting won't fix. Also notice that the fairings are coming really close to the stator cover now. Before they were perfectly spaced. I'm thinking I'll have to bend a few brackets to get these to sit exactly how I want, but for <$400, I'm pleased with the results. » Brooks PureConnect and PureGrit Review?